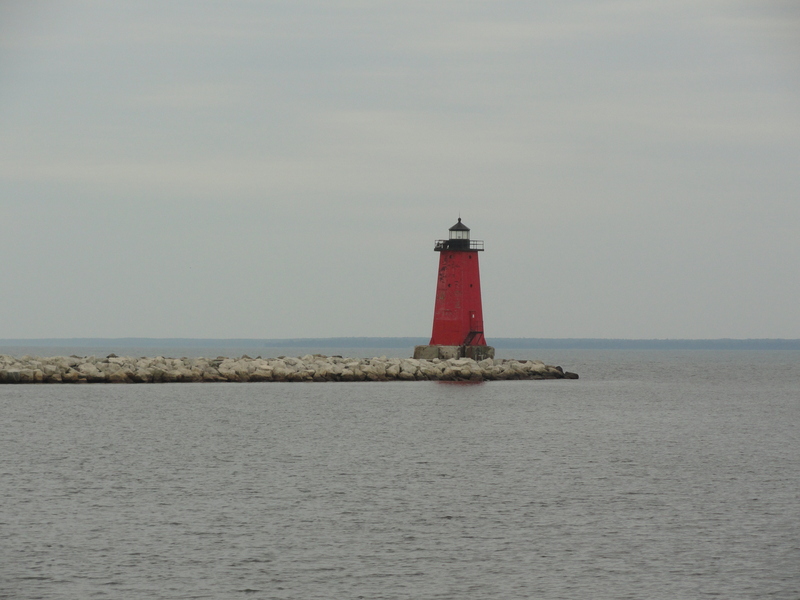 The Manistique East Breakwater Light is visible from U.S. Route 2 in Manistique and is easily accessible by a short walk to the end of the breakwater. 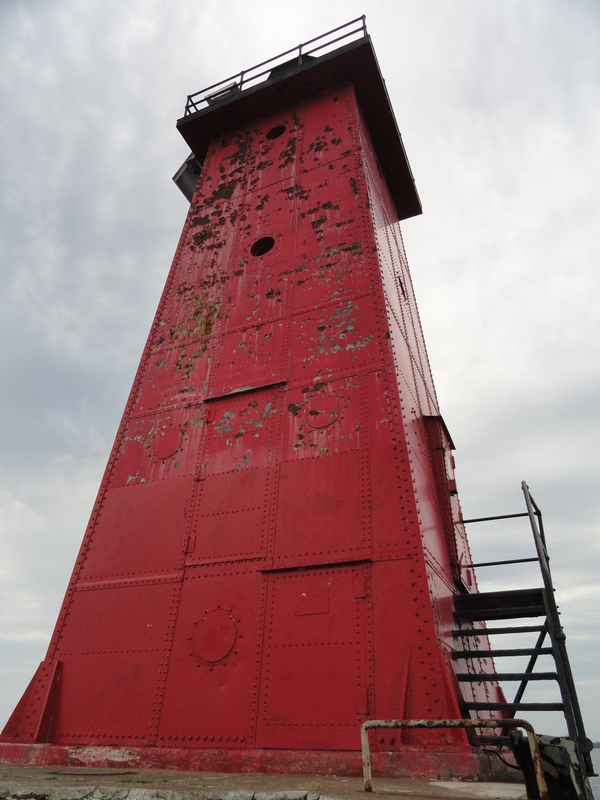 The steel plated, tapered square tower is currently painted red with a black lantern room. The tower is in need of a new coat of paint, as the peeling paint and rusting steel is clearly visible.